Vintage look amethyst mix with picasso finishCzech pressed glass English cut beads. 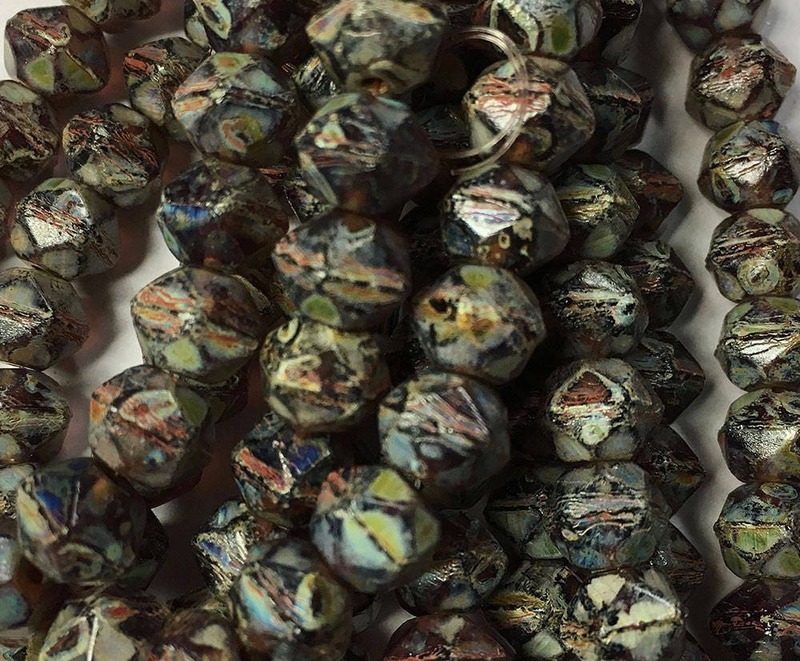 These are 8mm in size and there are 20 beads per strand. Lovely beads! Nice to use larger size Czech beads once in awhile. Great selection in this shop, and super speedy shipping!